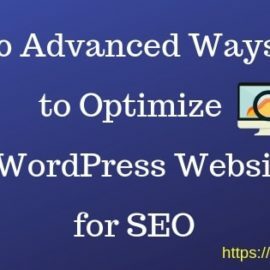 How to add latest YouTube Videos in WordPress Website? 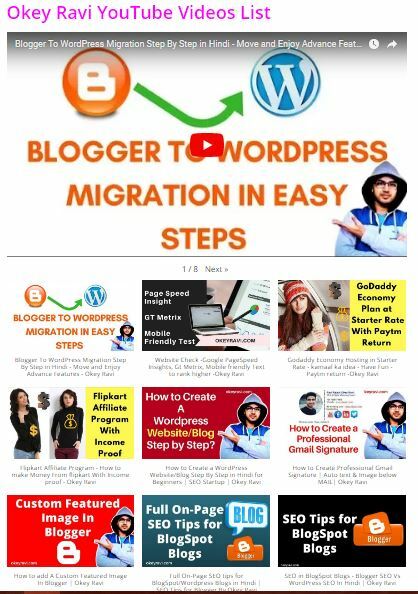 I have written a lot about Youtube and WordPress such as automatically fetching thumbnails for YouTube videos, add share buttons, make your videos responsive to fit all devices, etc. this article, I will show you How to add latest YouTube Videos In WordPress Website? I will also show you how to create beautiful video galleries to display in your sidebar widgets, posts, and pages. 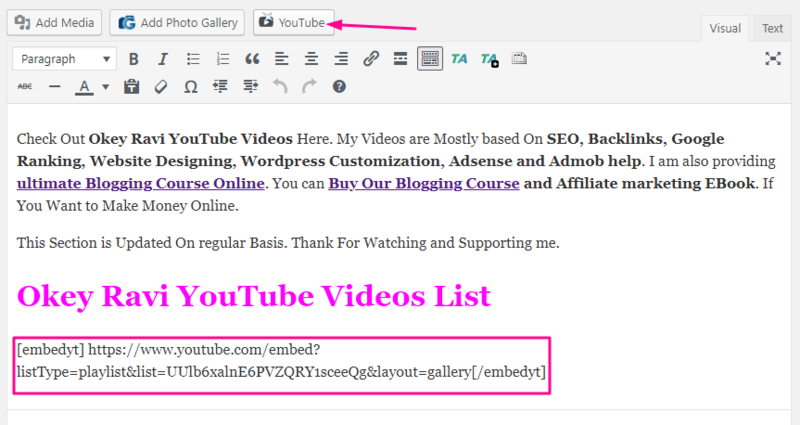 How to add “Youtube” Plugin in WordPress? Installing a plugin to WordPress is a very easy task. you can Do this in many ways. 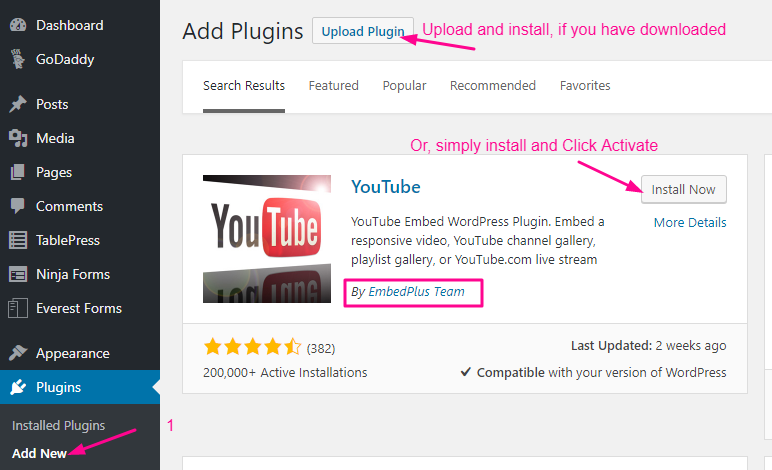 So, Just Download Youtube By EmbedPlus team and follow the below instructions to install and set up the plugin. 4. Once you are done installing click Activate to activate the Plugin. So, now you have successfully installed and activated the YouTube Plugin. Now it’s time to set up. After Activation the plugin Click On “YouTube Free” Icon on left WordPress Admin Panel. Here You have to perform an important task and that is ” YouTub API Key insertion”. Now you need to generate YouTube API key for Your Youtube Channel. To generate it successfully Just watch This youtube Video tutorial by EmbedPlus team. So, you got it right. So After getting the Youtube API key just Enter them at required place and you did with the settings now. Now, You can easily create a youtube video page on your Website and then You can add your’s or other’s Youtuber Playlist. There is a lot of pre-designed templates you can choose one according to your need and interest. Here, you can go with youtube default options or you can upgrade the plugin to enjoy unlimited advanced features. This process is very simple and to do this just Create a page and Name it according to your Choice, then In body section, You have to insert some bits of gallery and playlist code. The codes will be generated by “YouTube “ Plugin. Once You Clicked, you will get a dashboard like this. Here are some options which you can choose according to your need. 1. Embed a single video. So, What I am going to do? I will embed my youtube channel here. you can then use any other option and try them one by one to see how they work for you. Read More: How to Choose the best Theme for your WordPress Website? 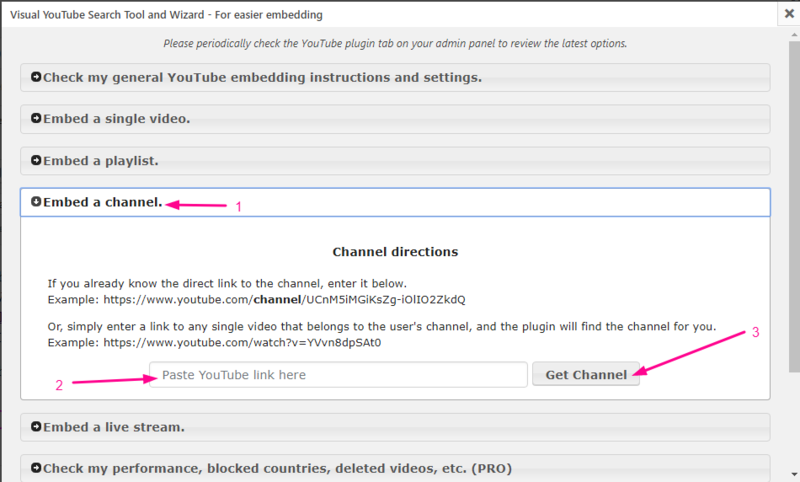 So, click on Embed a Channel button and add your youtube channel Link. Now click on “Get Channel” Button. This will fetch your channel and provide you two different layout “Gallery Layout and Playlist layout”. Now it’s up to you which Layout you will show. I am using Gallery layout On My Youtube Video page. Are You thinking what next to do? well, Just copy the given code and paste it your Page where you want to show your channel video. That’s it. you are done. This is how my webpage is looking after embedding my YouTube Channel On a page. 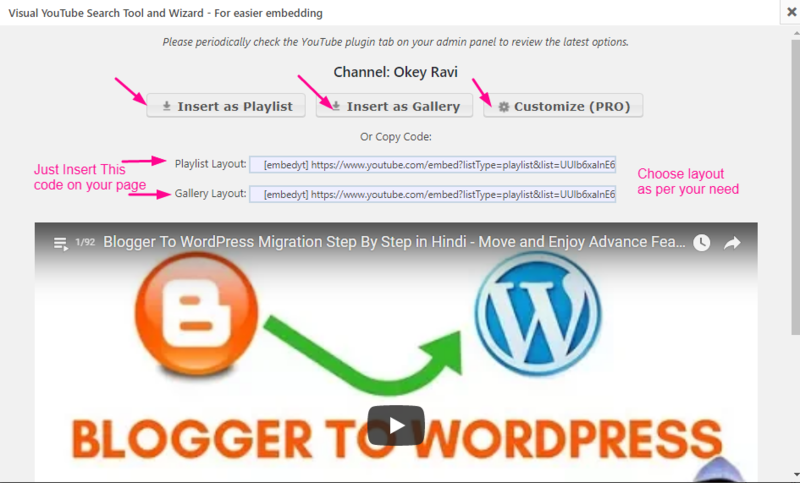 So, I think Now the topic “How to add latest YouTube Videos in WordPress Website?” is clear to you. If you have any query or recommendation then leave a feedback below. Read Next – How to center Align YouTube Video? 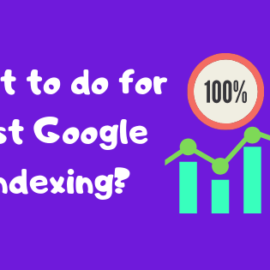 Google Indexing Issue – What to do for Fast Google Indexing? very informative and useful article. Thank you for sharing this.